TOKYO, Japan, 2017-Mar-22 — /Travel PR News/ — International Paper Plane Association (hereinafter “the Association”) and Japan Airlines (hereinafter “JAL”) announced today that they will hold an annual JAL Origami Plane National Competition for children who have passed regional preliminary matches held in every region of Japan, starting fiscal year 2017. The aim of these competitions is to stimulate dreams of the sky and friendship through Origami Plane activities, and increase opportunities to promote communications and culture exchanges. Furthermore, the Association and JAL will hold the JAL Origami Plane Asian Competition in November 2017, and the first-ever JAL Origami Plane World Competition in 2020. JAL announced its Soraiku® Declaration of bringing up the future generation in November 2016 and launched new initiatives to let children feel the future more closely. The JAL Origami Plane Class, which marks its 10-year anniversary in 2017, is one of JAL Soraiku initiatives. Around 700 JAL Group employees are Association-certified instructors, who have been supporting JAL Origami Plane Classes held at various events and venues. 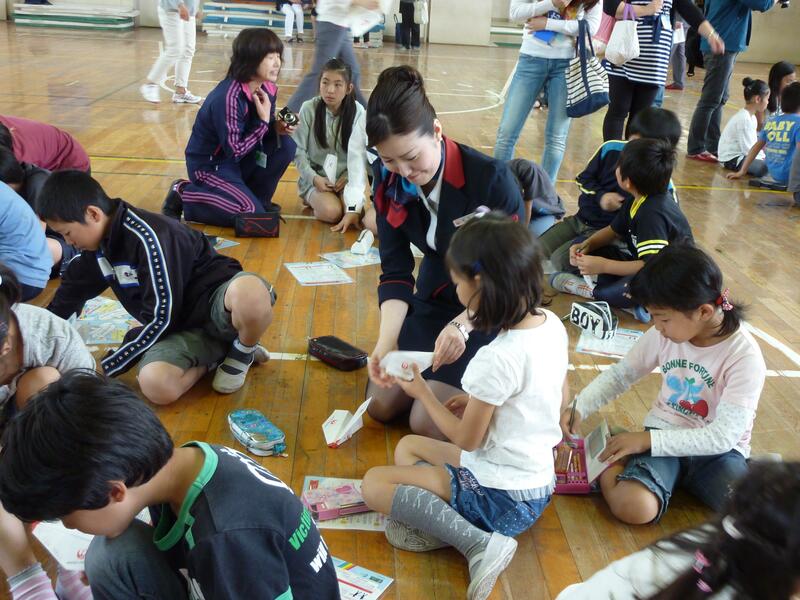 The Association and JAL will continue to embrace new challenges to nurture the future generation through Origami Plane initiatives and expand international exchanges to connect Japan with the rest of the world. The JAL Origami Plane World Competition deciding the world’s number one for Origami Plane is planned to be held in Tokyo in 2020. Detailed information will be announced as soon as available. Flying! Small paper with big dream – International Paper Plane Association was established in 1995.The Association is promoting activities of Origami Plane featured Japan’s traditional culture to children and adults worldwide. For exchange of manufacturing and Japanese culture, the association aims to healthily nurture children around the world, and contributes to communication between generations and the world peace. The Association is making efforts to develop promotion programs, and carry out training and education for Association-certified instructors. Japan Airlines (JAL) was founded in 1951 and became the first international airline in Japan. A member of the oneworld® alliance, the airline now reaches more than 331 airports in 53 countries and regions together with its codeshare partners with a modern fleet of more than 220 aircraft. JAL Mileage Bank (JMB), the airline’s loyalty program, has reached over 31 million members worldwide. Named the Best Asia-Pacific Major Airline for On-time Performance in 2016 by FlightStats, JAL is committed to providing customers with the highest levels of flight safety and supreme quality in every aspect of its service, and aims to become the most preferred airline in the world. This entry was posted in Airlines, Festivals and Events, Society, Travel & Kids, Travel Management and tagged International Paper Plane Association, JAL Origami Plane Class, JAL Origami Plane National Competitions, Japan Airlines, Takuo Toda. Bookmark the permalink.